Looking for Dryer Vent Cleaning Services? Dryer Vent Cleaning Atlanta, GA Get in touch with us today.‎ Call (855) 512-2726 Free Estimate Prevent your dryer from overheating by calling the experts from Premier Grease. 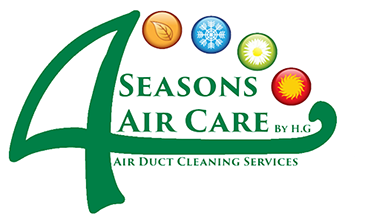 4 Seasons Air Care, Atlanta, Georgia provides effective and efficient dryer vent cleaning Atlanta services at friendly charges. Besides our high-quality cleaning services, we also install and repair your dryer vent if need be. Our honest and trustworthy team will ensure that all your needs are satisfied while also following your instructions to the letter. If you are looking for dryer vent cleaning services in Atlanta, Georgia, you can talk to us by simply dialing (855) 512-2726. Our customers will enjoy low rates and a free estimate. A majority of Atlanta population does not schedule dryer vent cleaning Atlanta because they do not find it important. You, however, should know that lint accumulation in your dryer could result in a residential or commercial fire. In fact, the Consumer Product Safety Commission of US reveals that approximately 15,500 of the reported fire incidences in the country are because of dryer problems. While prolonging the life of your dryer is essential, maintaining a safe environment is just as important. The cloth dryer in your Atlanta, GA home requires cleaning from time to time as a safety precaution. You will also save the money you spend clearing your electricity bill if your dryer is clean. call dryer vent cleaning Atlanta. Like other electric appliances in your property, you should take the maintenance of cloth dryers seriously. When you dry your clothes, lint is produced in the process. The dryer is fitted with a lint trap that is supposed to capture lint so that the system is clear for proper operation. Nonetheless, 35 percent of the lint produced makes it way past the trap and into the vent. As a result, you will soon have a clogged dryer vent due to the continued lint build up. This is where 4 Seasons Air Care, Atlanta, Georgia, US comes in. Call us today at (855) 512-2726! We provide professional dryer vent cleaning services to enhance the efficiency of the dryer through better airflow. When the vent is encumbered with lint, it will require more energy and a prolonged time to dry your clothes. This leads to the consumption of more electric power that eventually forces you to incur high costs of electricity. Our team has the experience needed to clean your dryer vent as required. When you get dryer vent cleaning services, you are sure to save over $250 on your utility bill per year. This means that you are at no loss since this service will only cost you a portion of the money you save. You should note that if your dryer vent is clogged, it won’t breathe properly. As a result, it will have difficulties doing the intended work and run the risk of wearing out fast. Receiving dryer vent cleaning services from 4 Seasons Air Care, Atlanta, GA, USA will save you money on repairs or dryer replacement. Contact our team via (855) 512-2726 for a consultation and a free estimate. Call now for our FAST SERVICES and FLEXIBLE SCHEDULING! Our rates are low regardless of the high-quality service provision. This is possible because we use highly advanced technologies and products. 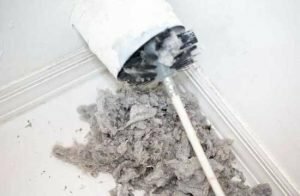 Although lint is the main factor that causes clogging of dryer vents, debris, dust, pests, insects, rodent matter, and other critters are also to blame. All these deposits lead to the buildup of exhaust in the dryer vent, which affects its performance. Increased energy consumption that causes a higher electric bill. Potential wearing out of the dryer. A possibility of a dryer-related fire. A buildup of Carbon II Oxide that is fatal. To avoid these negative effects, you should contact our team today on (855) 512-2726. With our technicians, you will enjoy high-quality dryer vent cleaning services. If you reside or operate a commercial property located in Atlanta, GA, do not hesitate to call now! Once you get our free estimate, you will realize that our rates are the friendliest rates you will find in Atlanta! After the clothes undergo the whole drying procedure, you still notice that they are damp and in need of more drying. The dryer takes longer to dry clothes (usually more than 50 minutes). From the outside, the vent should blow the air being emitted at least 12 inch out. If this does not happen, then you need cleaning. When you are operating the dryer, you realize that it is hotter than normal. You receive a high utility bill that surpasses the standard rate. You notice a lot of moisture on the door of the dryer from the inside. You see a layer of lint on the dryer vent from the inside or outside. When you dry dark colored clothes, you notice some lint on them. You have never cleaned the dryer vent before. When you are drying clothes, you smell something burning. If you notice that your dryer is experiencing operational problems, you should first check the vent to determine whether you need to remove lint or your appliance needs servicing. – More effective and efficient. Your safety and satisfaction are of paramount importance to us. That is why we always conduct follow up routines to assess the state of your dryer after we have provided our services. We would also like you to be our loyal customer. As such, we put your needs and priorities on the forefront. Where else are you likely to get a certified dryer vent cleaning Atlanta professionals in Atlanta, Georgia? Call now for high quality, affordable services by inputting these numbers on your phone: (855) 512-2726. Regardless of the design and type of dryer vent you have, we have devised a cleaning plan that works all the time. We rely on our Rotobrush Cleaning System to brush off and collect all the lint and debris from the vent. Our team of dryer vent cleaning Atlanta unplugs the hook connecting the dryer and vent before running the Rotobrush Cleaning System from one end of the vent to the other. We run the brush through each edge of the vent to ensure that all the clogging material is removed effectively. We use a camera to provide you with the before and after images of the vent. This way, you will be able to see the outcome of our cleaning services. Are you looking for a dryer vent company with low rates and providing high-quality services in Atlanta? If you are, we are your number one option since our charges are designed specifically for you. Call now on (855) 512-2726 and your dryer will breathe cleaner air in no time! Our team is fully trained and 4 Seasons Air Care, Atlanta, GA is fully certified to provide dryer vent cleaning services. We are also fully insured because we value the safety of your family and property. Feel free to read our customer reviews before contacting us! We are the dryer vent cleaners out to impress by helping you and your family/property stay safe. Call now on (855) 512-2726 and let our technicians clean out that fire hazard! We will be at your doorstep in a few to meet your needs and demands. Enjoy our FAST SERVICE, FLEXIBLE SCHEDULING, LOW RATES, and CUSTOMER-ORIENTED SERVICES! 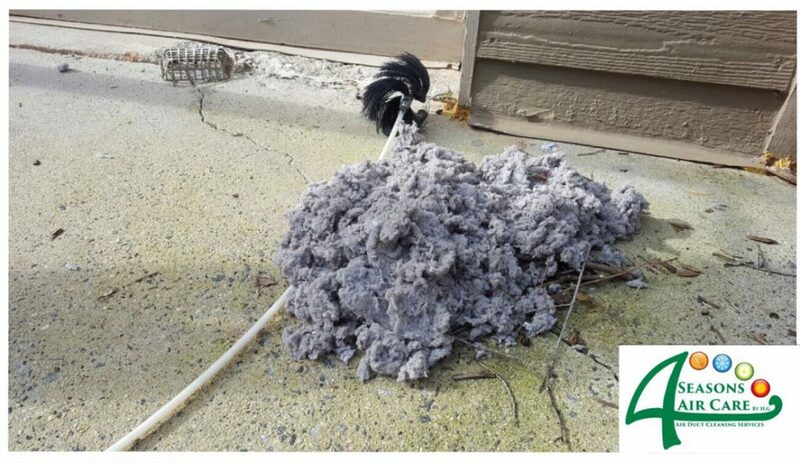 Get a free estimate and let as get started on removing lint from your dryer vent!